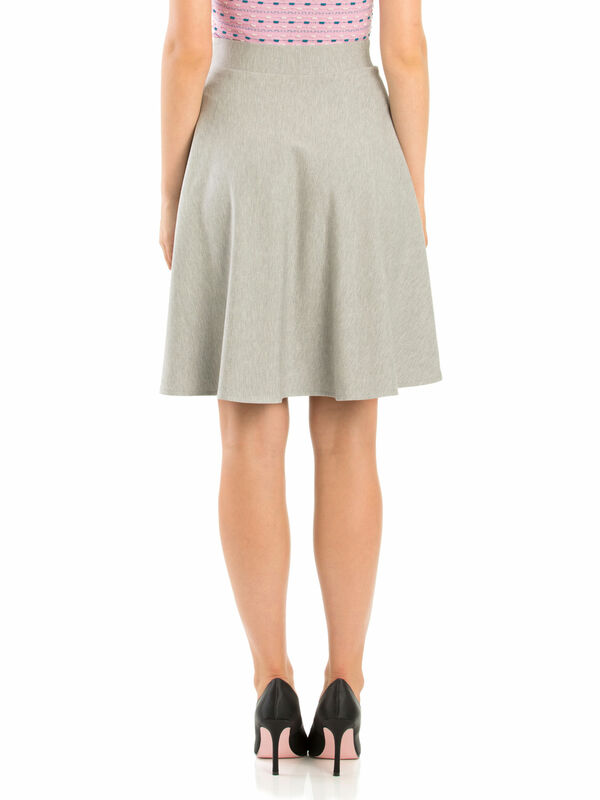 Ashy Skirt https://www.review-australia.com/au/ashy-skirt-grey/RE19SK094.REGRY007.html The ultimate in comfort and style, this Ashy skirt will add that extra bit of flair, whether you need it for a day of work, or dressed up with a pretty blouse for the evening. Fitted with an elasticated waistband for those mornings you are in a hurry. Worn with Sweet Mix Top and Darcy Heels. The ultimate in comfort and style, this Ashy skirt will add that extra bit of flair, whether you need it for a day of work, or dressed up with a pretty blouse for the evening. Fitted with an elasticated waistband for those mornings you are in a hurry. Ashy Skirt is rated 4.9 out of 5 by 13. Rated 5 out of 5 by Cigazze from I think I found the perfect skirt Ladies I think I found the perfect skirt: it's comfortable, it goes with everything and it doesn't crease. It's easy to wear all day and then to dress it up at night. it survives being packed for those of you that travel a lot. And did I mention it's very flattering? I have big hips but in this skirt you wouldn't know it! Love it. Rated 5 out of 5 by Clair from I love it! I bought this skirt for my first day at work after 6 years of being a stay at home mum! I love how it sits, it flows so nicely around your body. The fabric is gorgeous. I felt so confident going back to work wearing this skirt. Would definitely recommend others to buy it! Rated 5 out of 5 by 4Millie from Great little skirt This is such a lovely fit and feel, a little flippy skirt.. Dress it up with a soft knit or silk shirt and heels. Laid back look with a tee and sneakers or ballet flats. Such a versatile comfortable item. Rated 5 out of 5 by Kasia from Great for any occasion The ashy skirt ! Great for any occasion work , casual or fancy day . You can dress it up with “reviews” range of bags belts , cardigans and shoes or simply or keep it simple ! Love it ! Rated 5 out of 5 by Petallica from So elegant and graceful!! I was coveting this skirt for weeks and I finally... I treated myself, and I am soooo glad that I did!! It hangs so well, and is very flattering. Thank you Review!! 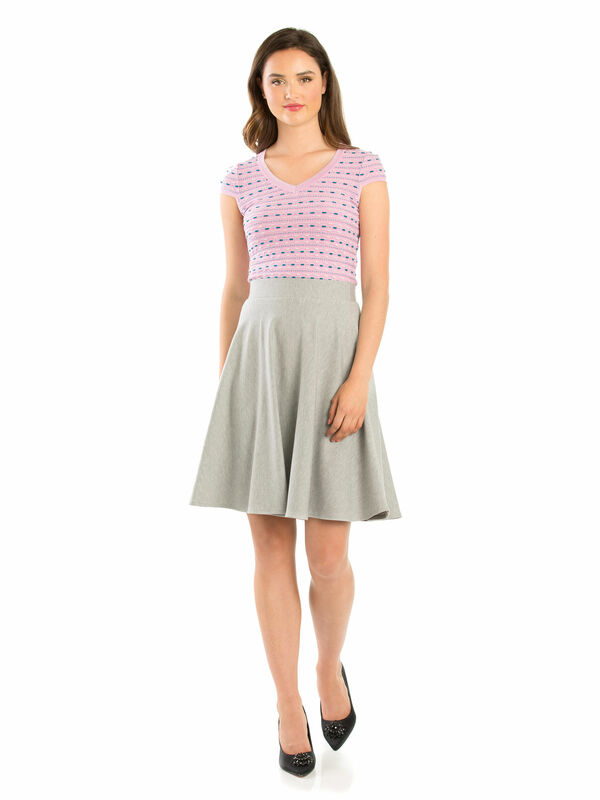 Rated 5 out of 5 by Lacey09 from Comfortable & Flattering skirt. I purchased this skirt wanting something that can be dressed up or down. This skirt is absolutely perfect for this. Very happy with this purchase.